I think this is what was meant on Step 20. So, other are the iron fence posts the last submission? Are we ready to close this? I narrowed those stone posts, which makes it look a lot better. I think for the promo photo, I'll use the stone ones for an entrance to the house, and the iron posts for corners. Is that old mansion at the edge of town haunted? Have your adventurers find out the hard way! 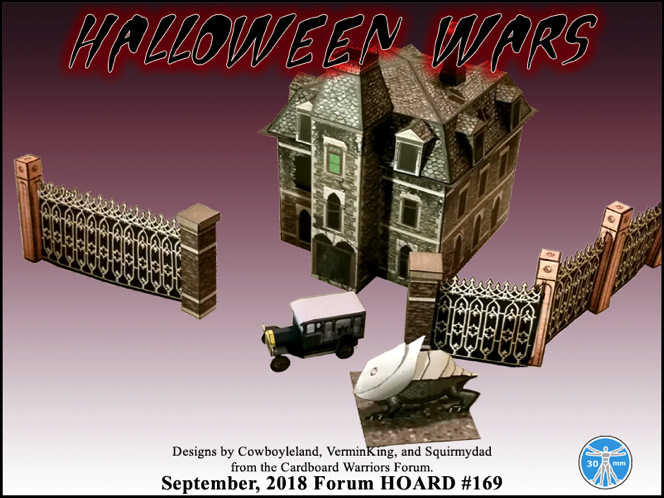 The 2018 Halloween Wars Horde is now available. @vermin King - there was a question on the size of the house over on the Facebook group, is that base footprint 6"x6"? Thanks.